This Dual SIM Superfone is popularly known as the Candy bar. 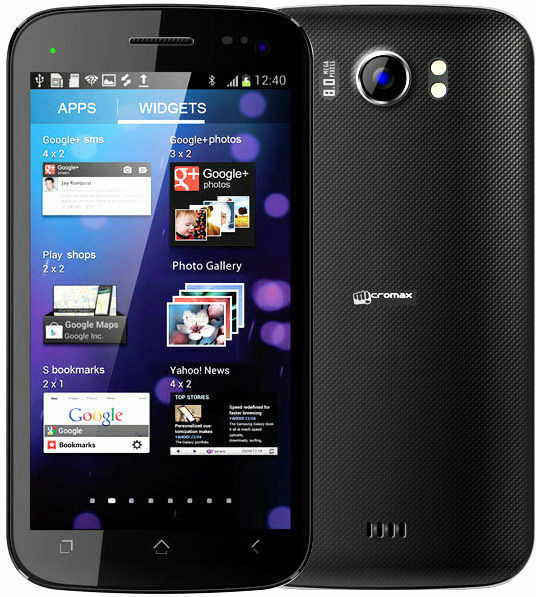 This is a new addition to the Superfone group and one of the hottest gadgets in the market currently. Keep yourself entertained at home and on the road with the Micromax A110 Superfone Canvas 2. Light in weight and sporting a vibrant display, this Superfone is an Android based phone which is powered by dual-core processor to help you achieve maximum usage across various demanding applications. 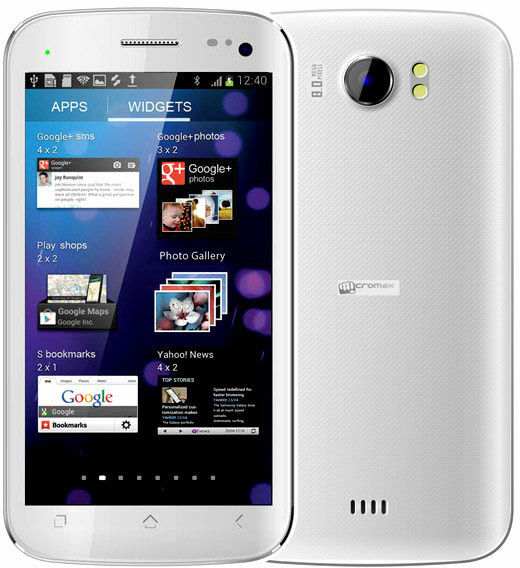 This Superfone is fitted with a 5 inch Multi-touch LCD Screen. It gives an IPS resolution of 480 x 800 pixels. With this type of Screen and resolution you get to see clear and crisp images. The images or the content displayed are very clear giving no stress to the eyes to read or see what is on display. 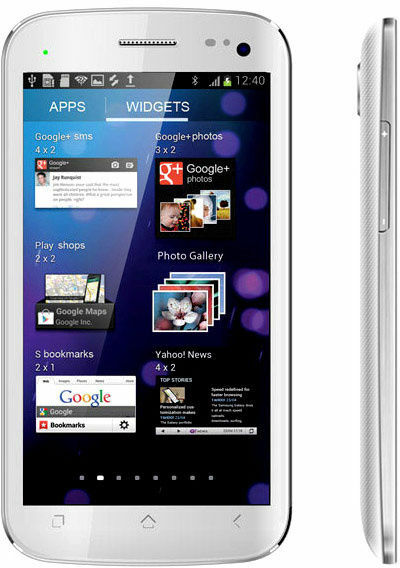 Running on Android OS 4.0 ICS, the Sensation takes the crown of the most powerful Android device from Micromax so far. Under the hood is the powerful 1 GHz dual-core processor. 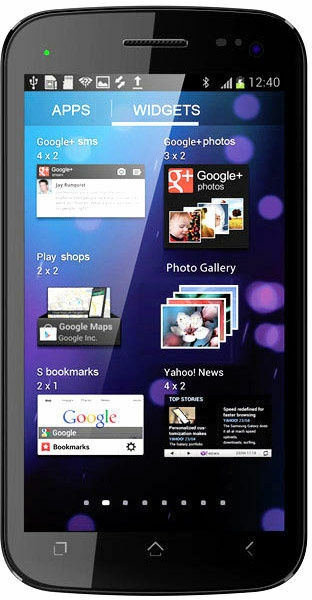 The Micromax A110 handset loads 512 MB of RAM that together with the CPU renders the phone superb multi-tasking capabilities. 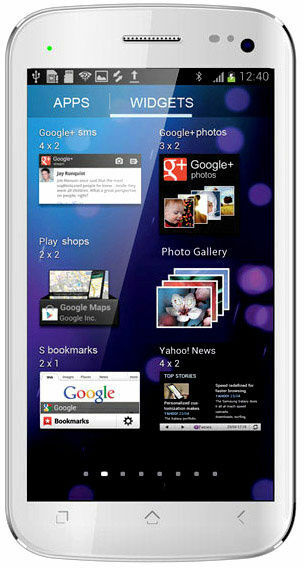 This Android phone allows full-fledged multitasking and can handle multiple apps without lagging in speed. The 3G mobile broadband, Wi-Fi and Bluetooth connectivity let you stay connected wherever you are. Now it will get easier to balance your work and home life nicely with the Micromax A110 Dual SIM phone. Keep both your worlds in your palms and move them with just a click. Be in touch with your colleagues and family with this phone. 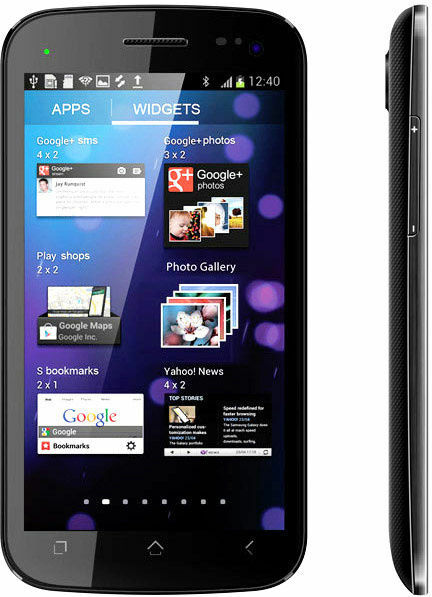 Micromax A110 has pre-loaded apps already in the phone that make life much easy and simple. You can customize your screen with different wallpapers, set ringtones and a lot more through the MiStore App. Stay connected to friends always through the MiBuddy and Chat on wherever you go. The 8MP Auto-focus LED Flash camera is loaded at the back of the Superfone that can record Full videos supporting multiple formats. There is also a 0.3 megapixel front-facing camera that allows video chatting. 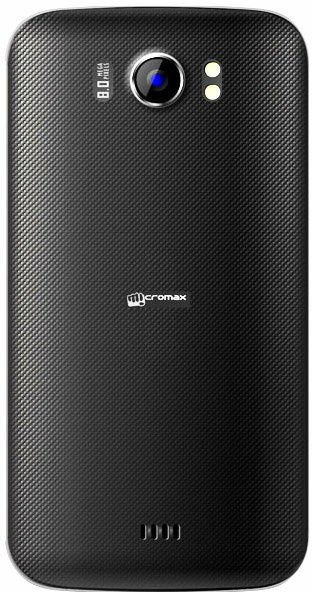 Listen to music through Micromax A110's multi format music player. It also has a multi format Video Player. Now listen to your favourite songs and watch your favourite movie with its multi format music and video player. Talk to your heart’s content with this Micromax A110 as it runs on a Li-ion powerful 2000 mAh battery. It gives you a talk time of 5 hours and Standby time of 180 hours. You can heavily stock all your favourite music, movies, pictures and lot more as this mobile has internal storage capacity of 2 GB which can be expanded upto 32 GB through micro SD card. ITS REALLY AMAZING AND GENUIENE PRODUCT VERY FAST DELIVERY THANKS TO INFIBEAM . Order it on GudibPadwa day. Thought it will reach to me in 10 days or so, but was surprise to see the most demanded product on my doorstep in TWO days time. No doubt the product is excellent, but infeam also gives u a choice to buy it online in ypur busy schedule. I was an amazing experience while dealing with infibeam. First of all they do set an expectation with their client and also deliver it accordingly as promised. I liked it very much, good customer service with transparency. As they don't keep things hiding. Good Luck .... !!! whether Canvas 2 looks good with white or black color? 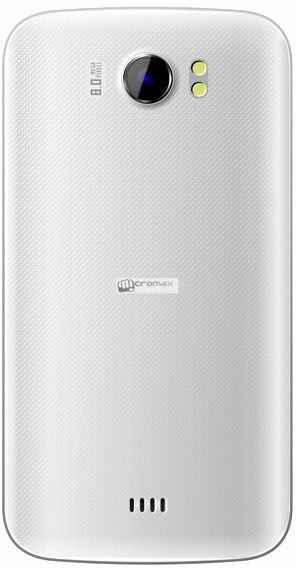 I ordered Micromax A110 from InfiBean, at the most competitive price in the market, the order was delivered way ahead of estimated delivery date, it was very nicely packed, phone is really nice. A COMPLETE WOW EXPERIENCE. INFIBEAM ROCKS!!!!!!!!! I'm very impressed with the services and committed delivery. Thanks Infibeam ! Recommended by me to everyone for buying from this store. Got it for Rs 9800 when launched... Using it since last 4 months without any lag.. HD games working so fine after official jellybean update by micromax.. I have been waiting for this phone for more than 2 weeks kindly make it available soon. Shipping Service is very good.. booked on Tuesday and received on Friday.. means 3-4 Days shipping delivery... Packing was also in good condition.